FOR some, retail therapy is the only way to beat the blues. 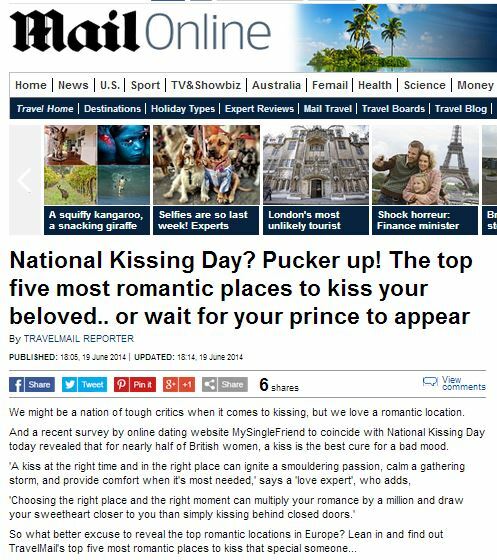 But for nearly half of British women a kiss is the best cure for a bad mood. In a survey of 1,000 women for today’s National Kissing Day, 47 per cent said a smacker was the most effective mood-lifter. © National Kissing Day and associated events are fully protected by Copyright & IP Law and remain the sole intellectual property of Radio Relations Ltd; Participation by way of any format in or mention of National Kissing Day is strictly by way of invitation or agreement solely with the Intellectual Property Owners: Radio Relations Ltd. Ever wondered how brands manage to get radio presenters and broadcast journalists to talk about their services? 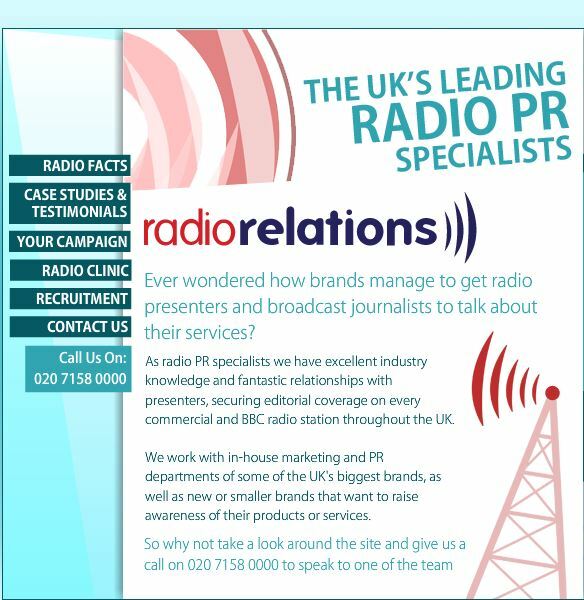 As radio PR specialists, Radio Relations have excellent industry knowledge and fantastic relationships with presenters, securing editorial coverage on every commercial and BBC radio station throughout the UK. By all accounts, each year Radio Relations approve (read: sell-to) a small list of PR companies and brand partners who are allowed to use the National Kissing Day name and PR opportunity to secure airtime and column inches. We might be a nation of tough critics when it comes to kissing, but we love a romantic location. And a recent survey by online dating website MySingleFriend to coincide with National Kissing Day today revealed that for nearly half of British women, a kiss is the best cure for a bad mood. So, a dating website wants you to know that kissing is the most effective way of feeling happy. If you don’t have anyone in your life to kiss, you’d better act now, or else miss out on all that potential happiness. As for National Kissing Day, keep your eyes open for July 19th next year, and we’ll see who Radio Relations have gotten into bed with by then. This entry was posted in MySingleFriend, National Kissing Day and tagged daily express, daily mail, Dr David Hamilton, MySingleFriend, National Kissing Day, Radio Relations, travelmail reporter, Zia Weise on June 21, 2014 by Michael Marshall.